We at Advenser, provide our clients with a gamut of precise and cost-effective MEP shop drawing services. Our team of 70+ MEP engineers and draftsmen with 8+ years of experience have the expertise and skill to deliver MEP shop drawings of predominant quality and accuracy. 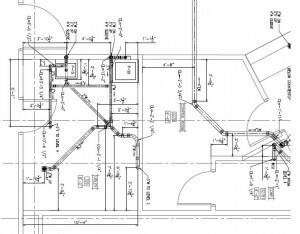 Our team of draftsmen and coordinators follows a methodical work process to deliver flawless and accurate shop drawings. 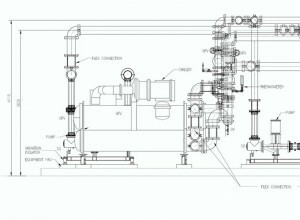 Every drawing we deliver conforms to the required industry standards and the requisites of our client. 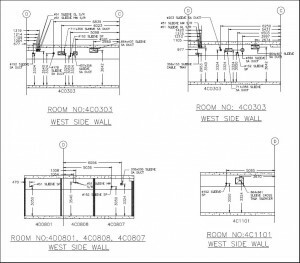 What do we do as an MEP shop drawing service provider? We ensure that every drawing we deliver encompasses all our client requirements while strictly adhering to the industry standards. Precise and close attention to details is given on every project we handle. It is our ambition on every project we handle to surpass client expectation in terms of quality and turnaround time. The dedicated team of in-house quality analysts at Advenser does a detailed quality check on every drawing we develop. The team comprises of 10+ quality analysts led by a senior quality control manager with 15+ years of experience in the AEC industry. 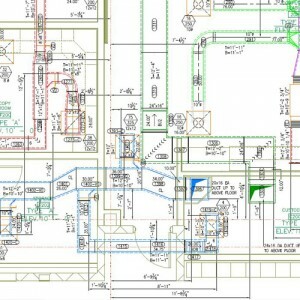 Every drawing is inspected with a close eye for details and any errors in the drawings are identified and resolved. Our proficiency in international standards are not limited to these, rather we are capable of complying with the industrial standards of your country too.